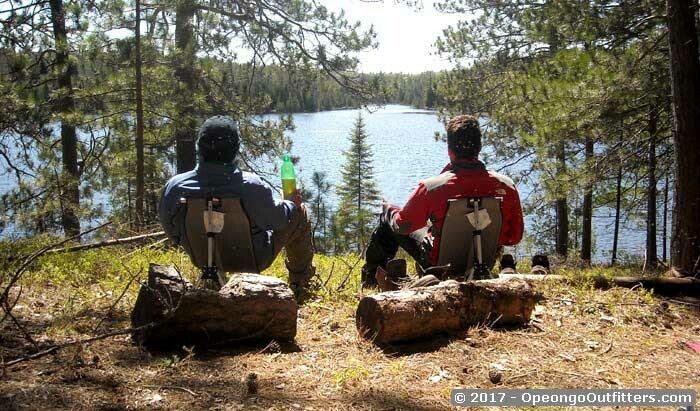 Being the oldest outfitter in the Algonquin Park area, you can be assured that our experience will provide you and your party with everything you need. From our well-maintained equipment to our generous meals, you will find everything you need for a successful Algonquin Park canoe trip. Upon arriving at our store, our helpful staff will spend as much time as needed with you regarding your menu plan, equipment, canoe route and canoeing skills, as well as answer any other questions you may have concerning your trip. This way, when you are ready to set out on your trip, we as well as yourself can feel confident that you will have a memorable holiday experience. Fresh food is provided for the first few days, followed by premium dehydrated food for the remainder of the trip. NOTE: We use only our best, newest canoes and equipment in all our outfitting packages. and we don’t forget toilet paper! These rates are based on a minimum of 2 adults. The ultra light package is similar to the Lightweight package but includes a few more upgrades and menu additions. Our staff will take you & your group to the North Arm of Opeongo Lake by Water Taxi where you will find a perfectly set up private base campsite with everything you will need for a successful camping holiday. Once your trip is over, our Water Taxi will come pick you & your group up. We'll also go over canoeing and fishing skills for your endless day trips in the area where you will have the place to yourself. This package includes the same equipment and food menu as the Ultra-Lite package with these extras. Extra large tent set up, Sleeping Bags and 3 inch Sleeping Mats in tent. Rain Tarp set up, Firewood on site, Full size propane B.B.Q., Propane Lantern, Camp Chairs - 4 ft. Table, 100 Litre Ice Cooler with Ice, Fresh Food, & Water. Our water taxi driver will stop in every day or so to check up on you to make sure everything is going as planed (as close to a guided trip as you can get). For the people staying 3 days or more we will bring you more fresh food and ice. There is no dehydrated tripping food in this package. We have added more fresh food to this package such as real cream or milk for your coffee and sour cream for your baked potatoes. yum! yum!